Frances Partridge is the last remaining survivor of the legendary Bloomsbury group. She began to publish her diaries at the age of 70 and this is the sixth volume in the set. 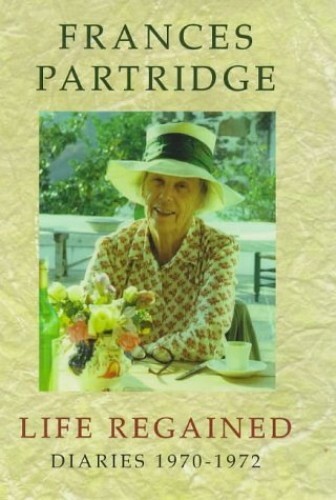 Frances Partridge at the age of 100 has had a new lease of life and has decided she would like to publish another volume of diaries which will cover the years 1972-1975. Now recognised as one of the great British diarists of the century, she was born in Bedford Square, Bloomsbury in 1900, the daughter of a progressive mother and architect father whose friends included Henry James and Arthur Conan Doyle. After studying Moral Sciences and English at Cambridge University, she worked a bookshop in London, Birrell and Garnett, and became part of the Bloomsbury Group, encountering Virginia Woolf, the Bells, Roger Fry and Maynard Keynes. She met and fell in love with Ralph Partridge who was at the time married to Dora Carrington. After the death of Lytton Strachey, with whom she was in love, Carrington committed suicide. Ralph and Frances married in 1933. During the war they were both committed pacifists and opened their house, Ham Spray, to numerous waifs and strays of war. After it was over they enjoyed the happiest time of their life together, entertaining friends such as E M Forster, Robert Kee and Duncan Grant. This life of great warmth and friendship was brought to an abrupt end when Ralph died of a heart attack in 1960. Three years later another tragedy struck when their only son, Burgo, died at the age of 28 from a brain haemorrhage. 'I have utterly lost heart: I want no more of this cruel life,' Frances wrote and yet she made a decision 'to live in the present' and 'to get a better seat on my bicycle'. Despite such enormous suffering, she maintained an astonishing appetite for life, whether for her friends, travelling, botany, or music. Her diaries, written without thought of publication, chronicle a remarkable life. Beautifully written, full of an infectious enthusiasm and unending curiosity, they are utterly riveting and rank amongst the greatest diaries of the century.